Happy Hump Day folks! 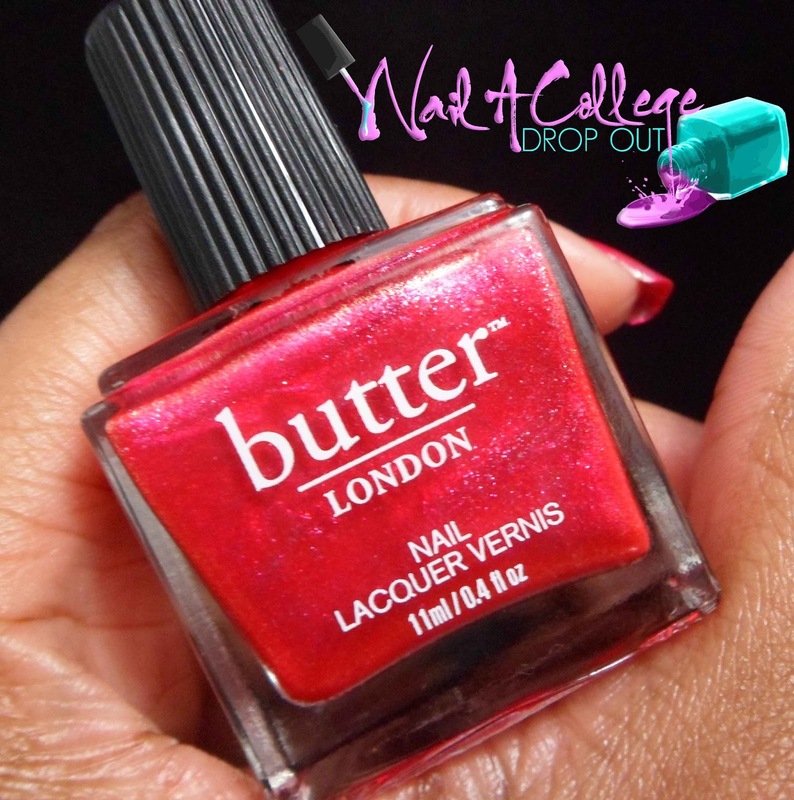 I don't have any nail art prepared fro today, however, I do have a swatch and review of butter LONDON Lolly from their Lolly Brights Summer 2014 Collection (press release here). bL describes Lolly as a bright pink shimmer in a gel like base. I consider it to be closer to a pink foil, but it should be noted that the pink polish you see is slightly cooler in real life. Shown above is two coats with top coat. I'm usually not a fan of pink, but for some reason I'm not completely put off by this lacquer. In fact, I find it quite nice. 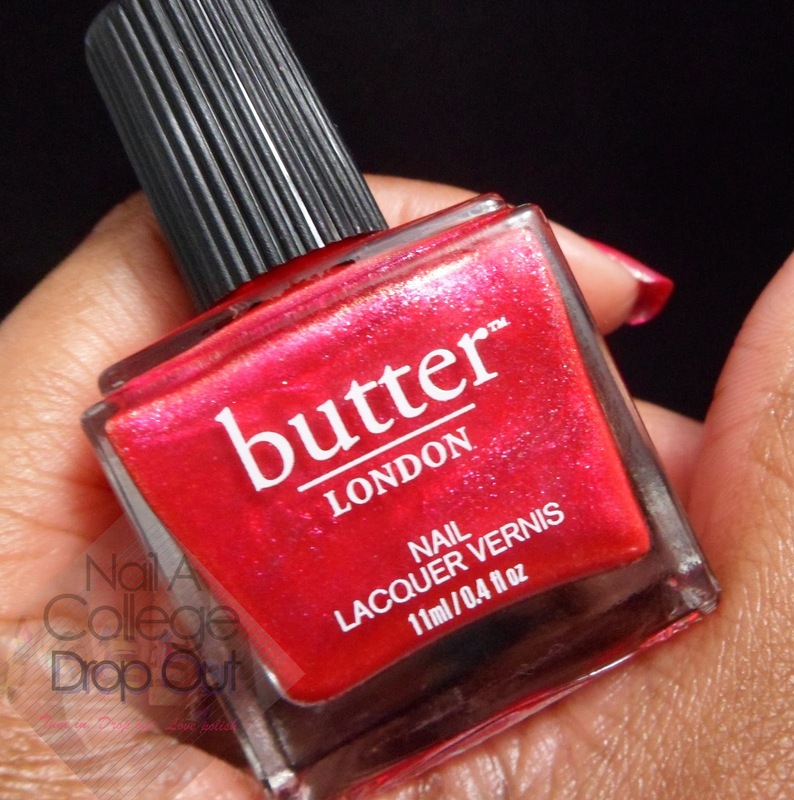 butter LONDON Lolly retails for $15 and is available on butterLONDON.com. I've got to get up super early for work out boot camp so goodnight loves!